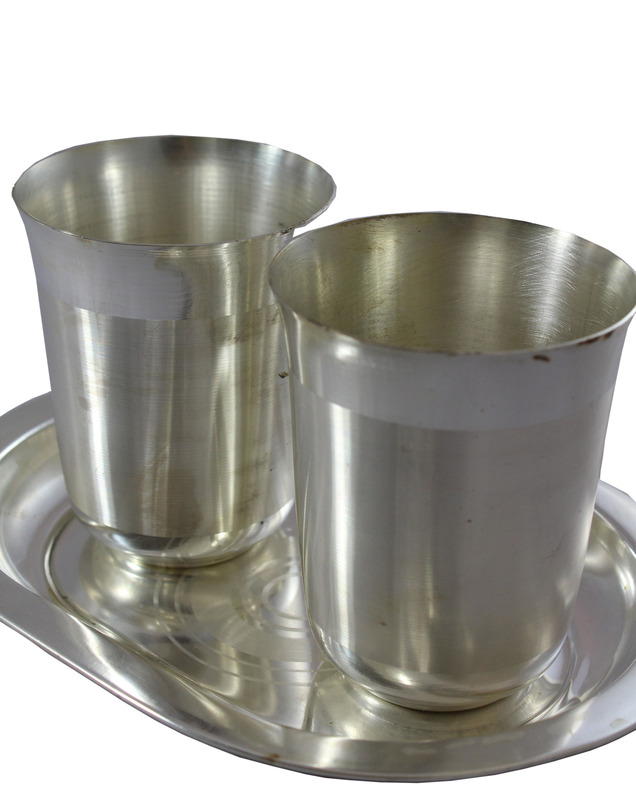 German silver coating, Commonly use for Puja use or return gifts for any occasions. This traditionally design gift set comes with a tray and 2 cups. 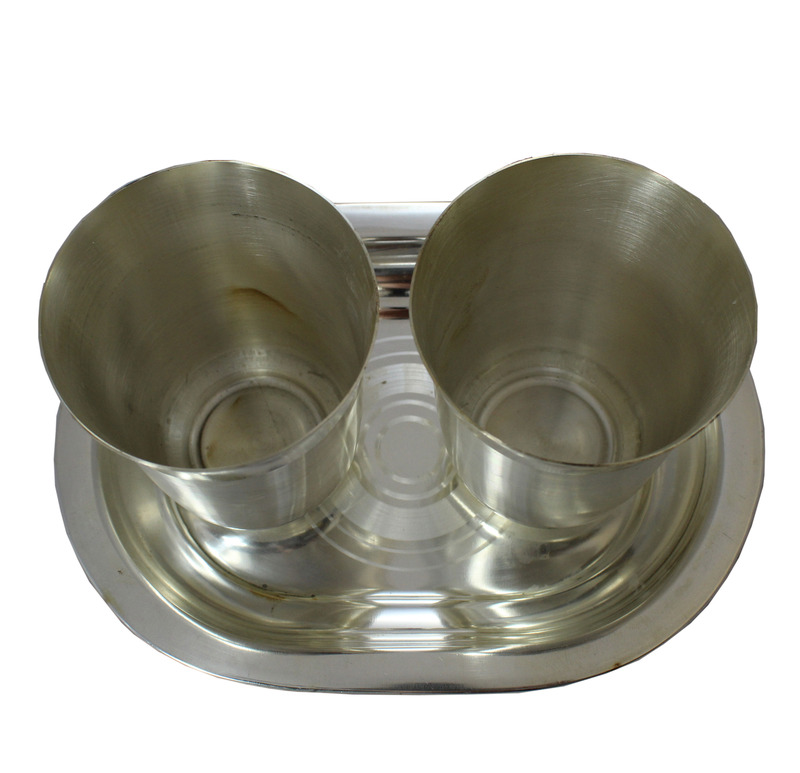 This item in Handicraft & Home Decor category was first added to our catalog on 11-22-2016. 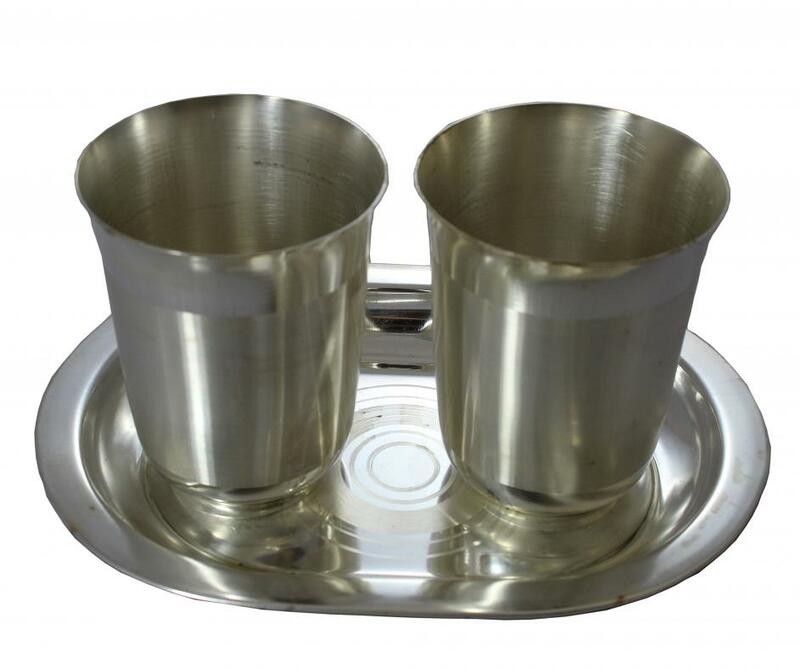 Buy German Silver Plated Glass Return Gift Sets (2 Cups & 1 Tray), sold & shipped by Namaste where you can shop online for Indian Gift Store: Handicraft, Home Decor, Wedding, Rakhi & Diwali Gifts. This Home Decor collection has been tagged as Tumbler, Traditional Return Gift, House Warming, Wedding, Navratri Pooja Gift Set, Ethnic Indian Return Gifts.